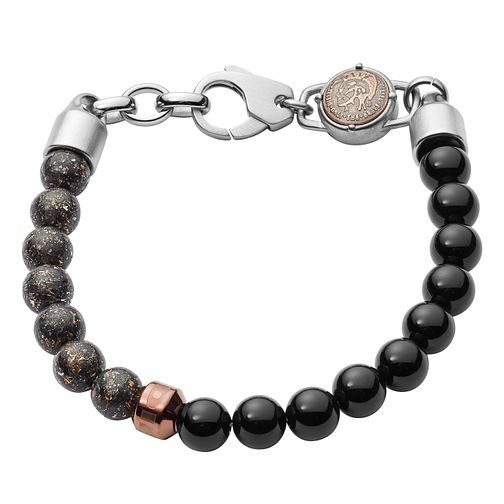 Black agate and carbon fiber beads make this Diesel bracelet perfect for layering or wearing as a stand-alone statement piece. The silver-tone lobster clasp is accented with a mohican head coin. Smart everyday style for the modern guy.